Paperback + eBook [Add $5.00] Best Value! 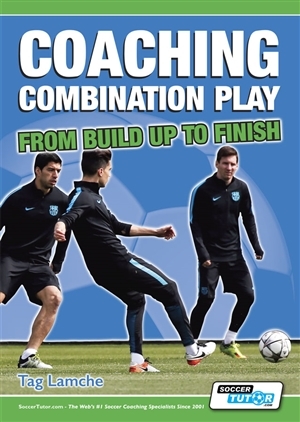 Learn to "Coach Combination Play" with numerous practical examples "From Build Up to Finish"
As well as being structured, it is important to present players with a rich variety of options or tactical tools they can explore. In this way you empower players to make their own decisions - individually and collectively - as well as encouraging them to use their own creativity and natural attributes to best apply these methods into practice. 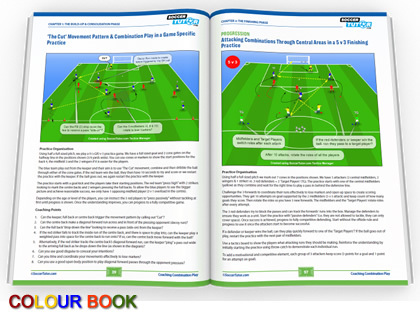 There are detailed chapters to outline the 4 phases of play and additional chapters for Supplementary Technical Training and Set Pieces. 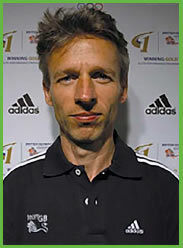 4 years coaching experience at a professional Football academy in the UK (Oxford United), Specialist visual skills Football coach, Specialist coach and Consultant to the British Olympic Association (2007-2010), Head of Sensory-Motor Skills BOA Elite Performance Programme and Playmaker workshop leader/perceptual skills coach. M.PHIL DEGREE IN SPORTS COACHING (EDUCATION) Master of Philosophy Post-Graduate Research Degree from Birmingham University (UK). 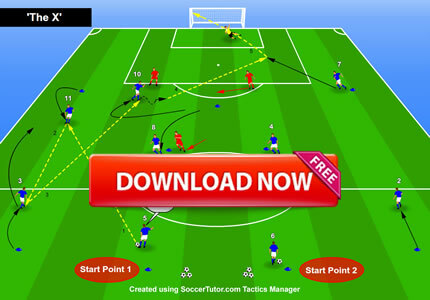 The research focused on visual and cognitive skills in football.